Kitchens can run the entire spectrum of emotions. They can be, silent, clinical, and introspective or they can be loud, raucous, and chaotic. Often, the mood of a kitchen is determined by the chef who inhabits it. 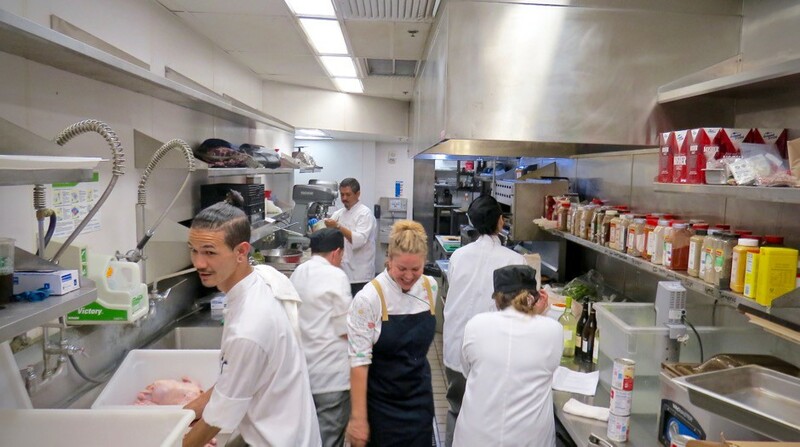 The kitchen takes on the personality of the chef, and can change immediately based on the energy that they put out. After spending a day in the kitchen with Chef Michelle Bernstein, I found myself editing my photos with soft, warm tones, as supposed to Chef Alex Atala whose King Leonidas-esque features demanded, crisp lines that emphasized the rugged qualities of a man who has spent time battling the elements. Bernstein inhabits an earnest kitchen, and after spending time talking with her about the ups and down of her career, I could see why. Bernstein kept herself busy during her most resent trip to Hawaii. 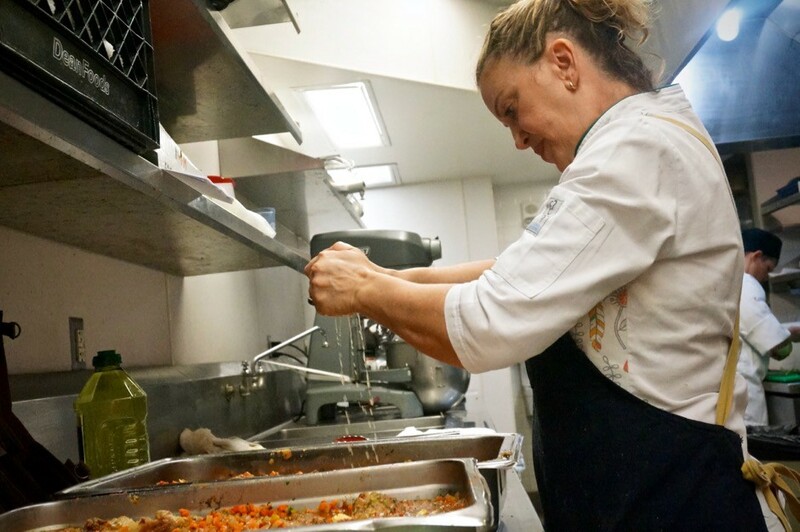 She participated in multiple events with the Hawai‘i Food & Wine Festival, before doing a two-night pop up at the Lē‘ahi Concept Kitchen in Waikiki to benefit the Kapio‘lani Community College Culinary program. She then capped off her trip with a cooking demo at the KCC campus on her final day in Hawaii. 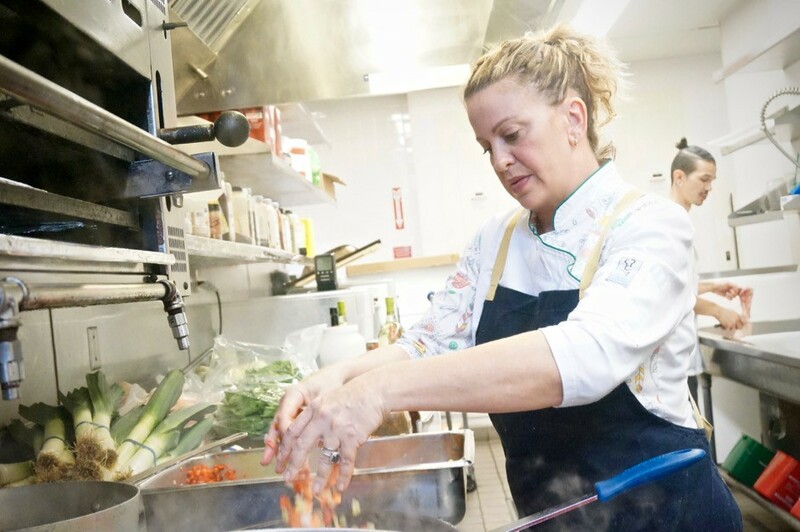 Between her television appearances, work with after school programs, consulting for corporate brands, managing a catering company, and a family, one wonders when she finds the time to create dishes for all her various projects. Unfortunately, there are drawbacks to keeping a busy schedule. Bernstein describes a sense of not having enough time to really dial in a dish. “My food is never 100% there. I really wish it was. I do so many things that I can never dedicate enough time, or maybe my brain can’t dedicate enough time to one dish. I always have to move on. I can’t stick to one thing. It makes me absolutely crazy. So, I get a little pissed at myself for that. Bernstein’s 2017 Hawaii Food & Wine dish. Regardless of what she is doing, Bernstein says that she is constantly thinking about food. She explains during our interview how when her mind wanders, by default, it meanders towards food. She often asks herself “what if” questions about flavor combinations, or different means of food preparation. Yet, despite the amount of time she spends thinking about food, when it comes time to cook, her process shifts to an emotional approach. 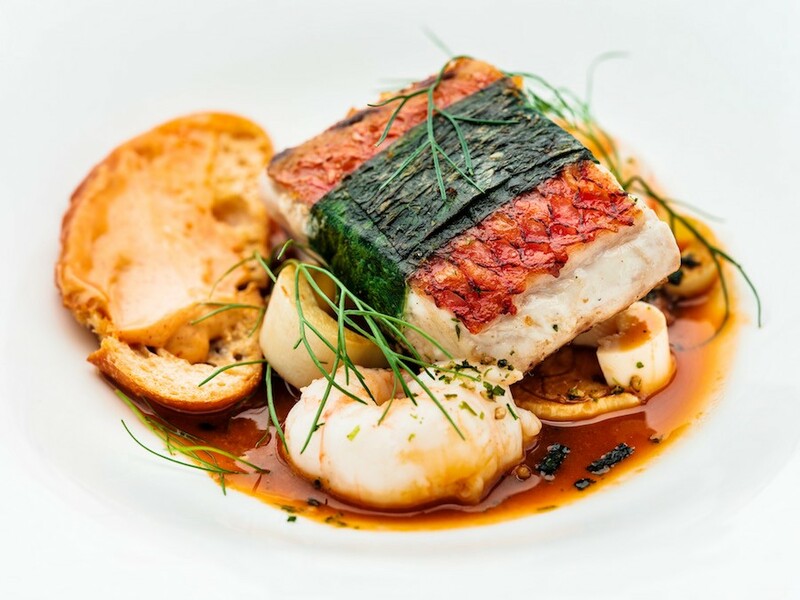 Bernstein took advantage of her time in Hawaii to work with her favorite fish, Opakapaka, which she used in both her HFWF dish and on her pop-up menu at Leahi Concept Kitchen. Hawaii and Miami don’t really experience much in terms of seasons. Truth be told, the only season both locations really pay much attention to is hurricane season. Still, Bernstein takes the seasons into consideration when creating her dishes. To incorporate her Miami roots, Bernstein used a mojo de ajo, which is a marinade and finishing sauce made with garlic and citrus. Bernstein describes how on occasion, she will have images of fully formed dishes that come complete with a vessel, a color and a shape. When I asked her what can trigger these images, she explained that they usually come randomly to her in dreams. “Since I was about nine years old, I would wake up with food ideas in my head, even though I never thought I would be a chef. Having a fairly active subconscious myself, I was curious as to what it looked like in her dreams. Was it a picture that she sees? Does she see herself as if she were watching a cooking show on television? Keeping a note book by her bed is a practice Bernstein still does today, and she says that one of best dishes she ever created, came out of a dream. She described the dish in vivid detail. It consisted of sweetbreads with a sour orange reduction, heavily caramelized fennel for licorice flavor, crispy fatback bacon and dehydrated oranges arranged like the crust on a fish. 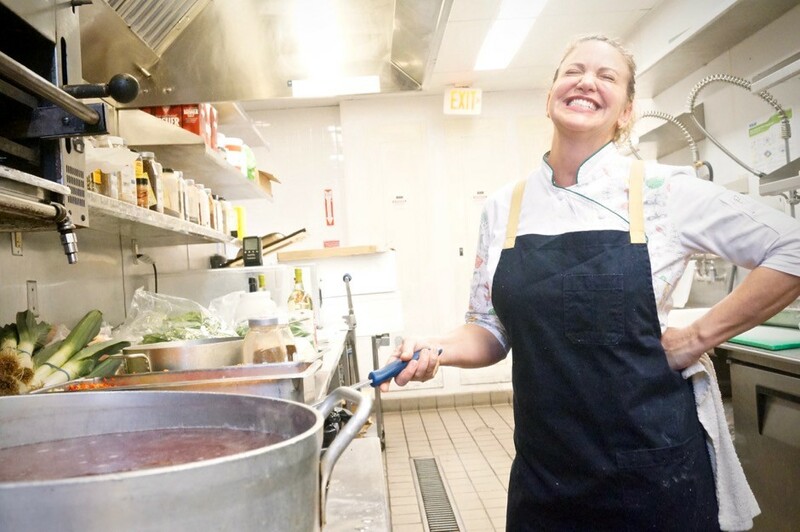 To truly understand the feeling of Bernstein’s kitchen, you have to understand the trials and tribulations that molded her into the chef that she is now. Bernstein had to push through a lot to become a chef in a time when not a lot of women were welcomed in the kitchen. 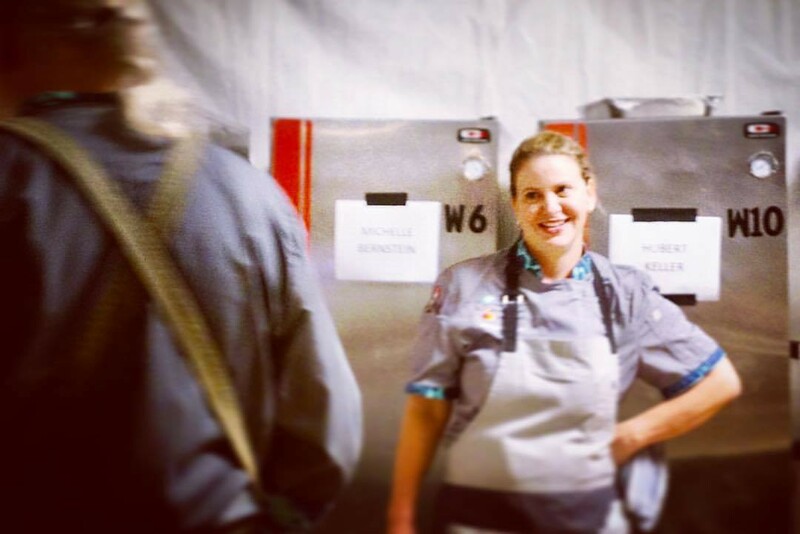 Even today, there is still a dearth of women in the food industry, which is why I share her story in her own words in hopes that it inspires more women to become chefs. Under a different set of circumstances, Bernstein’s life would have been completely different. At age 16, she was a member of the Alvin Ailey American Dance Theater, and was well on her way to a successful dance career when an ankle injury caused her to re-evaluate her life. “When I got hurt, I realized that I hated the life of a dancer. I was living in New York, by myself. I didn’t know where my next meal was coming from. I graduated high school at sixteen so that I could go to New York to pursue this crazy career. It was really lonely, really young, and really shy. I missed my family desperately, so I said that I’m not going back. I didn’t like that nasty competition between dancers, which I actually found later as a chef, but just done a little differently. It was nastiness from men rather than from women, which is very different type of maliciousness. It’s a softer maliciousness actually. She said, “well, there’s a culinary school opening down the block. You studied nutrition and a bit of chemistry. What if you were to combine your food knowledge and help people with better diets. Maybe one day you’ll do a TV show?” That woman always knew. I started cooking school, and I was really bad. My cooking was home cooking. Since I was six, I could make risotto, but I didn’t know what brunoise was. I didn’t know how to use a knife. I didn’t know anything. Everyone in culinary school in the 90’s were chefs that went back to get their diploma so that they could get better jobs. They weren’t little kids out of high school saying, I want to be on TV and be a chef. It wasn’t like that in the 90’s. There weren’t any TV chefs. It was grueling work. At this point, I did not want to be a chef, I was just training. I had this really competitive nature that I got from dance, and I just want to be good at everything. So, I started working at whatever kitchen that would accept me. I did my fair share of prep girl work, before graduating to salads for years. I would work where ever they would throw me, and in culinary school I started to get better, and eventually graduated with honors. I kept on cooking for a little while, still trying to figure out what I wanted to do. At this time, I was just off the dance floor. I was 90 pounds, if that. I was a petite, little, gracious, and disciplined, but shy girl. After five years, I was working the line and I loved it. They were horrible to me, and sure enough they’re all gone. I took me years to finally say I’m ready to be a sous chef, because I turned down everything that was ever offered to me. I never thought I was ready. My ego was super low. I had no confidence whatsoever, which is everything you need in a kitchen, as you know. I still don’t have enough confidence, but I push through it. During a particularly low point in my life, I said to someone that I wanted to be passionate about something again. They pointed out to me that root word for passion means to suffer. I asked how could a word that once meant to suffer come to be synonymous with love? Years later, I realized that to be passionate is to want something so badly that you are willing to suffer through any adversity to attain it. It is easy to look at the current celebrity status that chefs can have and think that it is an easy road to fame. 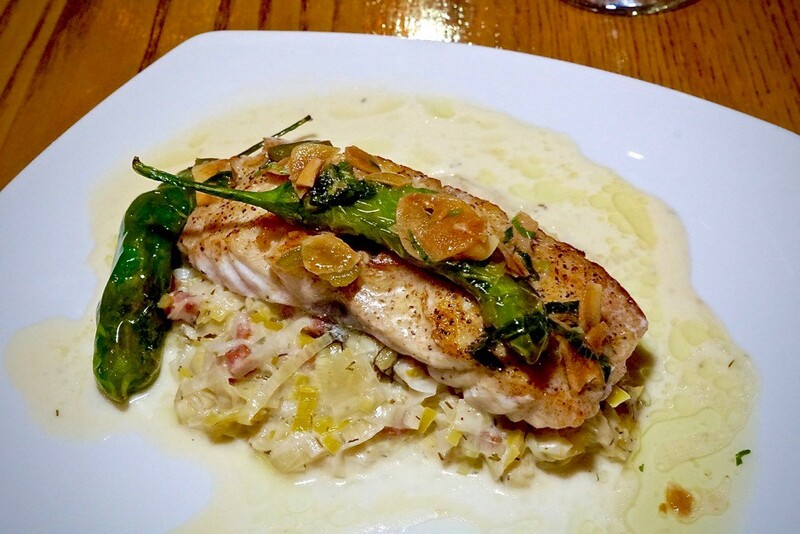 Cooking professionally in any form is a tough career with long hours and a lot of stress. If you let it, the food industry can (and will) take more from you than it will give. The Michelle Bernsteins’ of the world didn’t start cooking because they thought that it would make them famous. They did it because they had a passion for food. It is that passion that made them successful and appealing to worldwide television audiences. You’ll never see on television the hours spent cleaning fiddle heads or peeling grapes, or the days you’re stuck scrubbing pots because the dishwasher called out sick. I recall leaving culinary school the big man on campus and then starting at the Greenbrier where I spent a whole year with the not-so-glamorous job of baking cookies. I realized that before I could become a general, I had to put in my time in the trenches. It takes a lot of hard work, and you really have to love what you do. I definitely can relate to Bernstein’s journey and the unexpected turns that life can take. Of all the things that I have done, I can say that I am never more fulfilled than when I am in a kitchen. All I can do is just work on being the best cook I can possibly be, and the rest will take care of itself.